As we expose Zinn's lies and half truths, you will see how deceitful Zinn really is. The Review of chapter 18 will be completed by the end of 2017. Comment - 1. 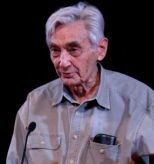 Communist Howard Zinn can hardly contain his glee with the communist North Vietnamese victory though it must be pointed out that the North couldn’t win until after the US withdrew. It’s also very important to know that the US did NOT make a maximum military effort to win the war. If we had, the war have started and ended in 1965. Johnson was concerned that the world’s greatest military power pounding a backward nation into submission was unethical. So LBJ made a conscious decision to use MINIMUM force to change attitudes in N. Vietnam. This policy forced the US to fight the war on North Vietnamese terms - and doomed 50,000 young Americans to die and thousands more to be maimed for life. Lyndon Johnson sent America to war without a plan for winning the war. The advancement of Communism in Asia was a leading factor in deciding to aid S. Vietnam. China fell to communism in 1949. In June 1950, North Korea invaded South Korea. Late in 1950, China sent hundreds of thousands of troops to fight for N. Korea. The US did not want communism to overtake all of Indochina. This is why we gave aid to the French. In WW2, we destroyed Germany and Japan by destroying their homeland. We never invaded N. Vietnam or destroyed their ability to wage war. 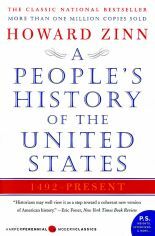 Download a pdf of A People's History of the US, 2003 edition, Chapter 18 to share with others. 2. Ho Chi Minh did NOT drive out the Japanese. Ho’s army only launched one attack of significance against the Japanese. On 17 July 1945, when the war was all but over, 500 Viet Minh soldiers attacked the Tam Dao gendarmery. Eight Japanese soldiers were killed. (A) Japan conquered French Indochina in 1940 and didn’t leave until after they surrendered to the US in August 1945. B. The August Revolution by Truong Chinh, p8. It must be noted that Truong Chinh worked for Ho Chi Minh and since official communist publications nearly always exaggerate, the half million figure is also probably high. In order to eliminate rivals, Ho secretly collaborated with the French and sold them out for money. The most famous fighter against French colonial rule in Indochina (France took control in the 1860s) was Phan Boi Chau. Ho Chi Minh set him up so the French could arrest him and he received a life sentence. Other foes of Ho were vanquished this same way. Ho was superb at sweet talking rivals until they were no longer needed and then he would have them eliminated. (F) By August 1945, Ho had successfully eliminated all of his opposition and became undisputed leader of Vietnam. In the Hanoi area alone about 10,000 opponents were killed. The number of executions in the rest of Vietnam is unknown. C. Ngo, Van (November 2, 2010). In The Crossfire: Adventures of a Vietnamese Revolutionary. Oakland, CA: AK Press. p. 163. ISBN 978-1849350136. G. Dommen, Arthur J. (2001), The Indochinese Experience of the French and the Americans, Indiana University Press, p 252. EVERYTHING Ho Chi Minh told George Abbott was a LIE. The communist Constitution of N. Vietnam wasn’t worth the paper it was written on. Harry Truman knew Ho was a master con man, liar and a mass murderer. The US gave Ho Chi Minh considerable aid during WW2, but got little in return. After the war, the US was not about to help a known communist like Ho Chi Minh. It must be pointed out that Zinn never mentioned treaty violations or atrocities committed by Ho Chi Minh. 7. Ho Chi Minh’s main negotiator at the Geneve Convention over Indochina was the first to suggest that Vietnam be temporarily partitioned at the 17th Parallel which would result in physical separation of Ho Chi Min’s forces and anti-communist forces. Each side would have full administrative, military and economic control in its zone. (B) Delegates from Free Vietnam opposed dividing Vietnam(C) as did the United States. (D) Communism was strongest in North Vietnam and it is probable that the separation of Vietnam by the communists was done to give Ho Chi Minh time to eliminate all opposition to communist rule in North Vietnam. The Geneva agreement was signed on 20 July 1954 by only two countries: France and Ho Chi Minh’s North Vietnam. The French only cared about getting their prisoners of war out of Vietnam. Everything else was of secondary importance to the French and this agreement left many details on the election unresolved. The US, Britain and free Vietnam wanted the UN to oversee the election to unite north and south Vietnam but the Soviet Union rejected this idea. (E) Communist Vietnam wanted the elections to be “locally supervised”(F) which meant the elections in communist controlled areas would be rigged like the last elections run by Ho chi Minh in 1946. 8. The US did NOT set up Diem as our puppet leader in S. Vietnam and Zinn’s comment about living in New Jersey is unfair. Diem lived in exile from August 1950 to 25 June 1954, spending his 4 years seeking support for Vietnamese anti-communists in the US, Europe and Japan. On 16 June 1954, Diem met with Vietnamese emperor Bao Dai in France. Bao Dai was unpopular in Vietnam due to his cooperation with French colonial rulers. Bao Dai, like Diem, opposed communism and Bao Dai wanted Diem to be Prime Minister. Diem agreed and Bao Dai thus became the country’s final emperor. His family had ruled Vietnam for 143 years. Bao Dại moved to Paris, but remained "Head of State" of South Vietnam which caused problems for Diem. Diem called for a referendum vote to decide the country’s future. Diem had learned alot from Ho Chi Minh. Diem ousted Bao Dai for good in a fraudulent referendum vote in 1955. 9. The election in North Vietnam would be rigged which is why the US and South Vietnam continued to call for UN supervision of the election. (H) The refusal by Ho Chi Minh to allow for free and fair elections is why the US and South Vietnam cancelled the election. Diem showed he could manipulate elections too, but it would have been possible for the international community to supervise a fair vote in S. Vietnam but was not possible in N. Vietnam. Another fact ignored by Zinn is that the population of North Vietnam in 1956 was 17 million while South Vietnam was 14 million. This was another reason why the communists wanted Vietnam divided into two. This gave Ho Chi Minh 2 years to consolidate his hold on N. Vietnam and then conquer S. Vietnam through a fraudulent election. Since 99.9% of real voters in North Vietnam would have to vote for Ho Chi Minh, the outcome was obvious. Thousands of ghost voters would be voting for Ho Chi Minh as well. This is also why Ho Chi Minh wouldn’t allow any more people to flee to South Vietnam. 11. South Vietnam was created at the Geneva Convention by the communist nations. CORRECTION: Zinn is quoting Viet Cong: The organization and techniques of the National Liberation Front of South Vietnam, published in 1966 by Douglas Pike. Zinn wants you to believe that the villagers of South Vietnam wanted liberated by the NLF and that Pike is supportive of the communist uprising in S. Viet Nam. Not true. If you read Pike’s book, it quickly becomes obvious that Pike strongly opposes the actions of the NLF. Pike is simply revealing the superb organizational and manipulative skills of the NLF in recruiting villagers and eliminating opponents. Zinn, a true con artist, is quoting 3 sentences from 3 different parts of the book and blending them into one paragraph to give you a wrong impression of Pike’s beliefs. Here are some excerpts from Pike’s book that are indicative of his true feelings about the NLF. Naturally, Zinn ignores Pike’s 1970 book: The Viet-Cong Strategy of Terror. p 475 - In early August 1964, President Johnson used a murky set of events in the Gulf of Tonkin, off the coast of North Vietnam, to launch full-scale war on Vietnam. Johnson and Secretary of Defense Robert McNamara told the American public there was an attack by North Vietnamese torpedo boats on American destroyers. "While on routine patrol in international waters," McNamara said, "the U.S. destroyer Maddox underwent an unprovoked attack." It later turned out that the Gulf of Tonkin episode was a fake, that the highest American officials had lied to the public-just as they had in the invasion of Cuba under Kennedy. In fact, the CIA had engaged in a secret operation attacking North Vietnamese coastal installations—so if there had been an attack it would not have been "unprovoked." It was not a "routine patrol," because the Maddox was on a special electronic spying mission. And it was not in international waters but in Vietnamese territorial waters. It turned out that no torpedoes were fired at the Maddox, as McNamara said. Another reported attack on another destroyer, two nights later, which Johnson called "open aggression on the high seas," seems also to have been an invention. CORRECTION: Here’s the truth. There were 2 incidents. The first one occurred, the second did not. Why was the US Navy in the Gulf of Tonkin in the first place? By 1958, North Vietnam’s infiltration into the South with men and material was known. North Vietnam had occupied areas of eastern Laos, using it as a transit route for men and supplies destined for the insurgency in South Vietnam. By 1964, South Vietnam was losing its fight against Communist Viet Cong guerrillas, which received military support from the north. The South then began Commando raids against North Vietnamese coastal installations in retaliation. The US Navy was attempting to determine the extent of North Vietnam's maritime infiltration into the South and to identify the North's coastal defenses so that the US could better support South Vietnam's commando operations against the North. p 478 - The CIA in Vietnam, in a program called "Operation Phoenix," secretly, without trial, executed at least twenty thousand civilians in South Vietnam who were suspected of being members of the Communist underground. A pro-administration analyst wrote in the journal Foreign Affairs in January 1975: "Although the Phoenix program did undoubtedly kill or incarcerate many innocent civilians, it did also eliminate many members of the Communist infrastructure." CORRECTION - The Phoenix program was an effort to penetrate and destroy the Viet Cong Infrastructure(VCI) in South Vietnam. Phoenix was arguably the most misunderstood program undertaken by the governments of the United States and South Vietnam during the Vietnam War. Phoenix and all other pacification programs were controlled by one entity called Civil Operations and Revolutionary Development Support (CORDS). CIA-veteran Robert H. Komer initially headed Phoenix, but it was most active and successful under William E. Colby, who replaced Komer in 1968. Colonel Andrew R. Finlayson, USMC (Ret. ), spent 10 months as the adviser for Phoenix in Tay Ninh Province in 1969-1970. He stated that Phoenix was misunderstood because it was classified and the information obtained by the press and others was often anecdotal, unsubstantiated, or false. The program was controversial because the antiwar movement and critical scholars in the US and elsewhere portrayed it as an immoral assassination program targeting civilians. The truth is that the communist National Liberation Front targeted civilian leaders of the villages - school teachers, social workers, Priests and low level governmental officials - like civil servants in the US. The Phoenix program targeted these murderous individual NLF members - not civilians. The goal for pacification was to convince peasants that the government of South Vietnam and the United States was sincerely interested in protecting them from the Viet Cong and training them to defend themselves. Then large areas of the South Vietnamese countryside could be secured or won back from the enemy without direct engagement by the US military. Phoenix attempted to identify VC operatives at the village level. Once identified, US or South Vietnamese forces - officially known as Provincial Reconnaissance Units (PRUs) went to the villages and attempted to arrest or capture the individual for interrogation. If they resisted, they were killed. Despite claims that the PRUs were nothing more than assassination teams, only 14 percent of the VCI killed under Phoenix were killed by PRUs. Most of the rest died in skirmishes and raids involving South Vietnamese soldiers and police and the US military. In 1972 CORDS reported that since the 1968 Tet Offensive, Phoenix had removed over 5,000 VCI from action, and that conventional military actions and desertions--some prompted by Phoenix--accounted for over 20,000 more. The US claimed that Phoenix and the US military's response to the Tet Offensive, along with other rural security, and militia programs, had eliminated upwards of 80,000 VCI through defection, detention, or death. It is important to recognize that many people who claimed they witnessed atrocities were proven to be liars and in some cases never were in Vietnam or the US military.